The year is coming to it’s grand finale, and I am happy to to look back and to summarize my work. My year was all about sharing. I have dedicated it to everyone who wants to have a glimpse into doll maker’s world, who is eager to find out how the doll’s are born, who wants to learn the techniques and to try one’s own hand in this magical process of creating a doll. This year I have jumped into the teacher’s, and a little bit of writer’s shoes and wrote four tutorials about doll making and costuming. And what about the doll’s? – Well I wish I had made more of them, but the day has only 24 hours – way less than I need. My plans for 2019 – more doll’s of course! More tutorials for sure, and also I am looking forward to discover and to learn new techniques myself, because I need to grow too. I am so looking forward to it! Meanwhile, let me present you my last doll of this year – I call her “Balance” she represents the piece of mind, the control over one’s thoughts and body, the concentration in a middle of chaos, the inner balance that keeps one from falling down and breaking. The doll is already sold, but if you are interested on how she was made, or want to create your own “Balance” – you can find the tutorial in my Etsy store. I want to express my gratitude to everyone who has been with me all this year, who has been following my works and supporting me in my journey, there for, I have made a little gift for you. It is a little paper doll tutorial that will be available on my Etsy store (https://www.etsy.com/shop/Dorotesdolls) only during the winter holidays season. Make sure to read the description when you open the listing. Merry winter holidays everyone, and Happy New Year! Summer is a dolly time! I hope all of you are well and your summer is filled with blessings and you have a lot of time for your hobbies. My summer is busy for sure. I am working on a new doll and making one more tutorial along the way. Meanwhile my earlier tutorials are available on Etsy for everyone who wants to make their own doll in my stile and for those who like sewing for their ball jointed dolls. Let’s have a crafty summer! I wish this year to be more productive, and fulfilling. So many goals are waiting there to be achieved – there is no time for doubts and hesitations. So let’s have a good year, everyone! Let’s make our best! I have created this doll to summarise the technique that I have been working in at the beginning of my doll artist career. Back then I loved creating static dolls which could stand on their own on their tiny dolly feet. I have taken hundreds of photos while working on this doll and I have put them all into a digital book that can be purchased on Etsy now. The doll itself is also available for purchase, it is listed in my “For sale” page. And here is a small double speed time lapse video for everyone interested to have a peek at my doll crafting routine. Hello my dear readers, just writing to let you know, that I have some new listings on my “For sale” page, and the newest of all is a fantastic chair for the display of tiny dolls. Time is running and here I am realizing once again, that there are simply too many ideas in my head and my life time will not be enough to make them all come truth. I am working on too many projects simultaneously and I am starting to feel the impact on my health that this eternal rushing is causing. So yes, I have to give up on some things, and move forward with others. Today I have decided to sell my unpainted “Tiny Tender Demons”, because I simply can’t find the time to finish them all myself. I know that some of you were waiting for this, so, here is your chance to get one and to customize it yourself. I have sculpted this doll in 2014, it was cast by “Star Dolls” in milk white resin. All “Tiny Tender Demons” are sanded and stringed. I will add a pair of handmade eyes that I have made myself (if you prefer glass eyes or resin eyes, you may look for the ones that fit a 6mm eye socket). Tiny Tender Demon is 21 cm tall. It has a magnet installed in their forehead for a magnetic wig. Thanks to the 20 points of articulation, the doll can be posed in various poses. The doll is coming in a wooden box made especially for her. The number of dolls is limited. The dolls for sale are here. 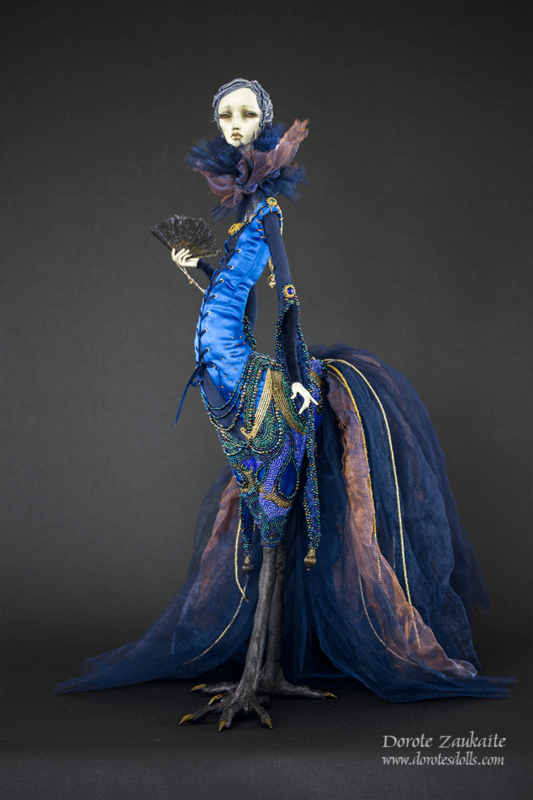 I have finally received two of my dolls that have been traveling the world and representing me in shows and galleries. After our happy reunion I am offering them for my dear collectors. I have got two news! My dear reader, I have two good news today: a good one, and …another good one! First of all, I am happy to announce, that I have finally finished a Ribbon Jointed Doll making guide for everyone who wants to make a doll by themselves. I have started this tutorial in January 2016 by making a doll and taking photos of all the process and, after long months of selecting and editing those photos and writing the comments and putting it all together, and then editing…endlessly editing, I have finally brought it to the end. I must confess – making tutorials takes much more time than making dolls. I am not sure when I will make a next one, because right now I am absolutely exhausted and need to have some pure doll making away from the computer. p.s. My Etsy store is going to get a little more of my attention soon. I am planning to be selling some doll making supplies, and maybe more tutorials (someday), and maybe something else that I will come up with. How ever the dolls will stay on this page, and only here they can be purchased. And, the second good news: The Ribbon Jointed Doll from the tutorial is available for purchase too! You can find her here, on my website “For Sale” page. 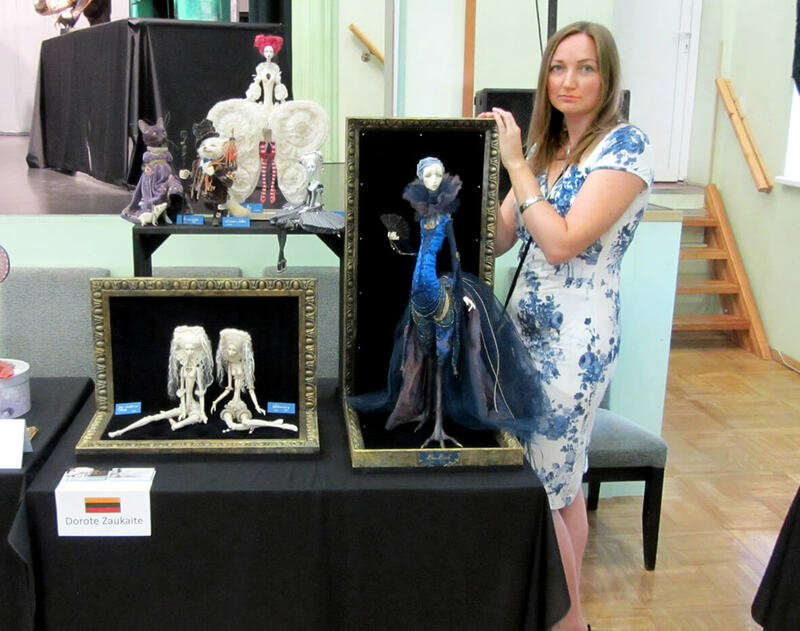 Here I am – back from a wonderful 3 days doll show in Preili. Preili is a cosy tiny tidy Latvian town where all cultural life is circling around dolls. Thanks to Vladlena (Vladimir and Lena Michailovs) Preili has a new tradition – a yearly doll show, where doll artists from different countries are bringing their works for the appreciation of local public and a great number of tourists and collectors, who come to Preili specially for the show time. Wonderful and appreciating public, enormous hospitality which has followed us in every step, tasty food from fresh local ingredients and free Wi-Fi all over the town – exceeded all our expectations. The attention to the detail made us feel at home and has set a new standard of show organizing. The charming mayor of the town Maruta Plivda was involved in all our activity, the attentive public relation specialist Maija Paegle made sure so we do not miss any of the activity planned, and the head of the Cultural Center Guntis Skrimblis was teleporting all over the tawn at the speed of light and was always there when needed. 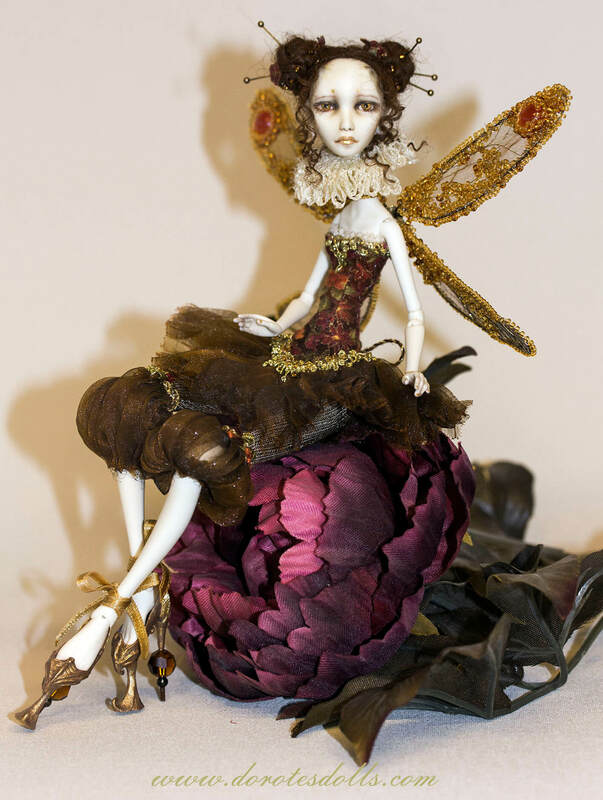 When it comes about the doll collectors – the show has offered them an interesting selection of art dolls, OOAK bears, and exclusive souvenirs for any taste. Each artist, from more than 30 participants has brought works of unique personal style and high level craftsmanship. 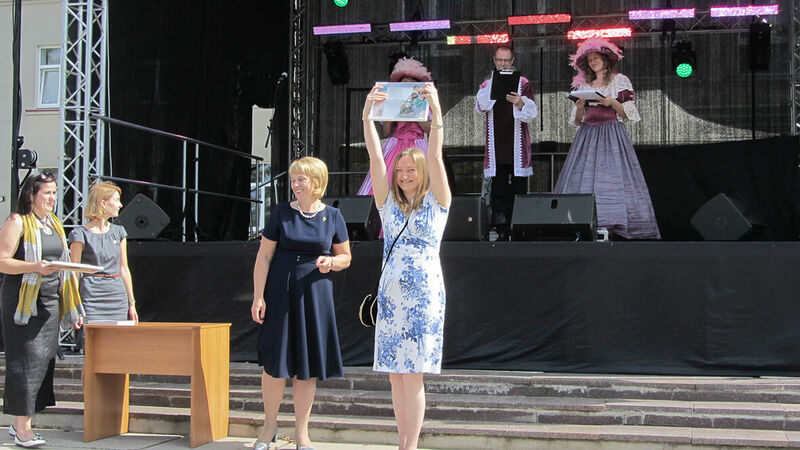 I am sure you will find a lot of photos from the show online, and here are a couple of myself – the proud participant of “Doll Summer in Preili – 2016”.